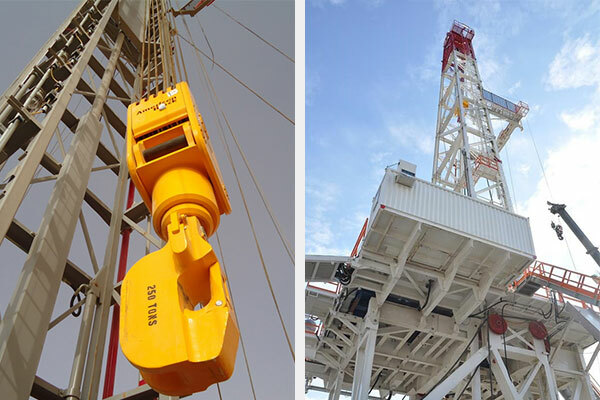 On the 12th of August 2013, Sakson Drilling & Oil Services commenced - in the Turkmenistan sector of the Caspian Sea - the supply of one drilling rig, accommodation camp and catering services for its client Dragon Oil. Sakson’s 2000HP land rig, SK 602 along with its experienced crew has so far successfully drilled and completed 4 wells working to a maximum drilling depth of 4200 meters. This project for SK602 and its crew, was completely unique. To fulfill the project requirements, Sakson-along with its client, had to design a bespoke 2000HP land rig that was salt and sea water resistant and that could be mobilized on to a custom made platform in the Turkmenistan sector of the Caspian Sea. Sakson prides itself on its ability to operate in challenging locations and this unique project is only a glimpse of what Sakson is able to achieve. Sakson. Sakson’s Drilling project in the Turkmenistan sector of the Caspian Sea is scheduled for completion in the third quarter of 2016.